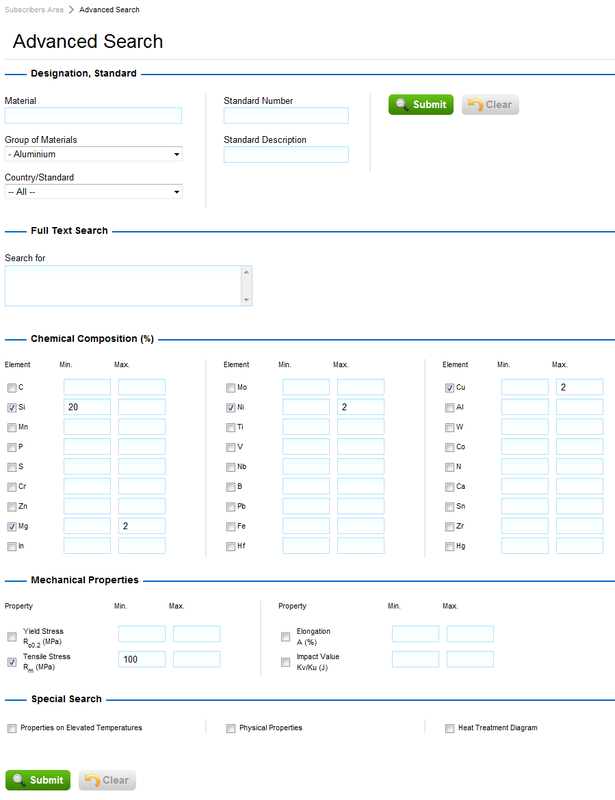 You can quickly and easily search over a half million aluminum properties records by designation, countries/standards, type, standard number, chemical composition, mechanical properties, other properties or any combination of these criteria. For example, let’s look for an aluminum alloy, which needs to have Si > 20% for castability, Cu, Mg and Ni less than 2%, and tensile stress over 100 MPa. Click Advanced Search from the main window. 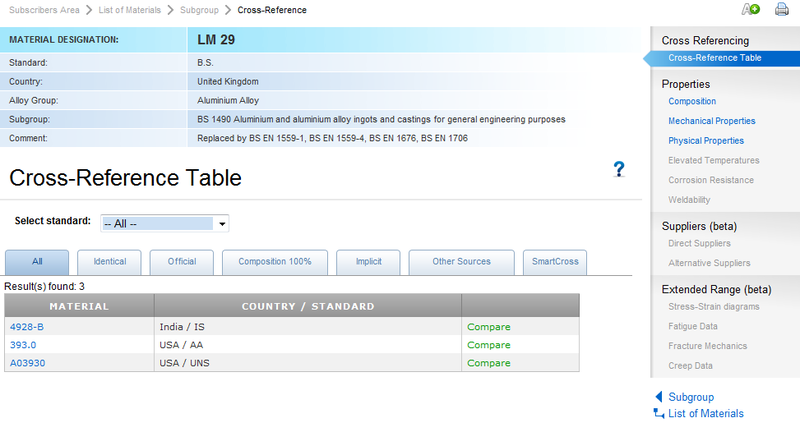 Next, choose Aluminum from the Group of Materials list, and enter requested aluminum properties and alloying elements. The search results screen appears. You can then click on an aluminum alloy from the list to review its properties. 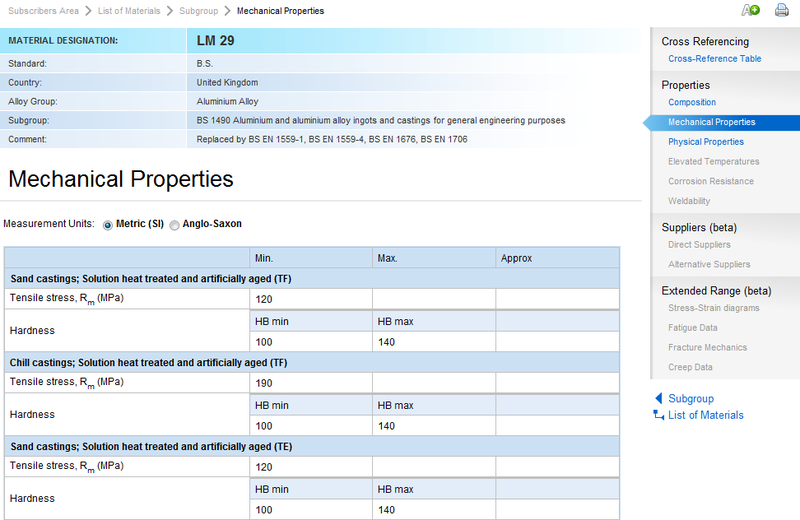 In this case, the last position on the list is selected – British aluminum alloy LM 29. After clicking the material from the resulting list, a list of subgroups appears. In Total Materia, the term “subgroups” refers to specifications that define properties of the aluminum grade; in this case there is only one specification, BS 1490. Note that this aluminum specification is obsolete – Total Materia even comprises aluminum properties from historical specifications. 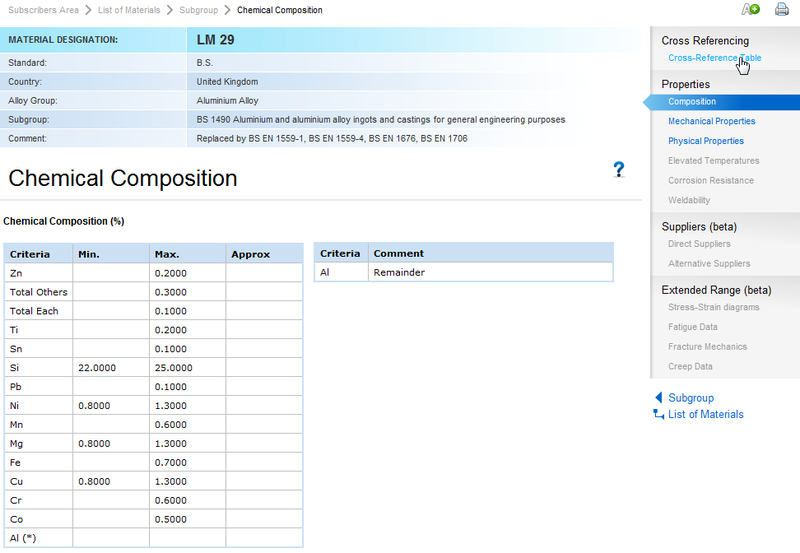 Aluminum properties within the Total Materia Database include composition, cross-reference tables, mechanical properties, physical properties, and more. Click on the examples below to enlarge them.